France in London | Jean-Paul Belmondo is back! 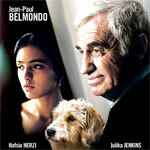 After his stroke in 2001, most of us thought we would never see a movie with Belmondo again. But they obviously vastly under-estimated him and his ability to bounce back! The icon of the "Nouvelle Vague" is back in a film by Francis Huster, a drama called “Un homme et son chien” (A man and his dog). Charles is a smart old man, living with a widow, who took him as her lover after her husband’s death. But she is about to get remarried, and Charles is now an unnecessary dead-weight, so she just kicks him out. Weakened, deprived of any income, Charles suddenly finds himself homeless with no one giving him attention...but his dog.who receives affection from no one, except from his dog. This is the basic synopsis of Francis Huster's second movie. It may ring a bell with some cinema fans who have previously seen the original Italian masterpiece, “Umberto D”, directed in 1952 by Vittorio de Sica. So the story is not exactly new, but the issue it deals with is no less pertinent for it. It denounces the awful situation of all those who are rejected from society. A praiseworthy gesture. Unfortunately, nice intentions are not enough to make a good film. “Un homme et son chien” was not exactly acclaimed by the critics. “Pathetic drama”, “melodramatic overstatement”… hardly very complimentary. So if the critics were not entirely enthusiastic about the film, they were about Belmondo’s moving performance. “We contemplate him, in total admiration”, said the journalist of the French magazine “Telerama”. 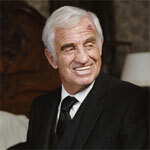 A lot of actors wanted to play opposite Belmondo for his unexpected come back: Jean Dujardin (OSS 117), Tcheky Karyo, José Garcia… They all asked for small roles, just as if they all wished to pay a last tribute to one of the biggest stars of French cinema. So “Un homme et son chien” is more than a simple film: it is also a personal challenge and a moving tribute.